The day you brought your puppy home everything was new and exciting. Those little puppy paws, those big puppy eyes, even that adorable puppy breath! Everything was going fine and dandy until the next morning when your puppy started peeing all over the place, running around in circles, and even stealing your brand new shoes. Puppies are cute but they can be a handful. Luckily we can work with your puppy to start them off on the right paw! Here at Applause Your Paws, we offer Puppy Kindergarten which is 5 1-hour group sessions that are catered towards raising a well-behaved puppy. Our classes go over potty training, basic obedience, the importance of early socialization and we help curb behaviors like biting and chewing. Training your puppy is a great way to develop an everlasting bond with your new best friend. Our expert dog trainers will show you all of the ins and outs of owning and controlling your new family member. We also offer a special package to make sure your puppy has everything he needs to be the best companion he can be. Our Rock Star Puppy Program consists of 20 hours of training. 10 group sessions + 10 private sessions all catered specifically for your puppy’s needs. This is a great format to ensure that your puppy will excel in all aspects of training. We will properly socialize your puppy, teach him basic commands and make sure he knows what is acceptable behavior and what is not. Another popular option for your puppy is our Board and Train program. Your puppy will learn everything they need to know while you’re away at work. 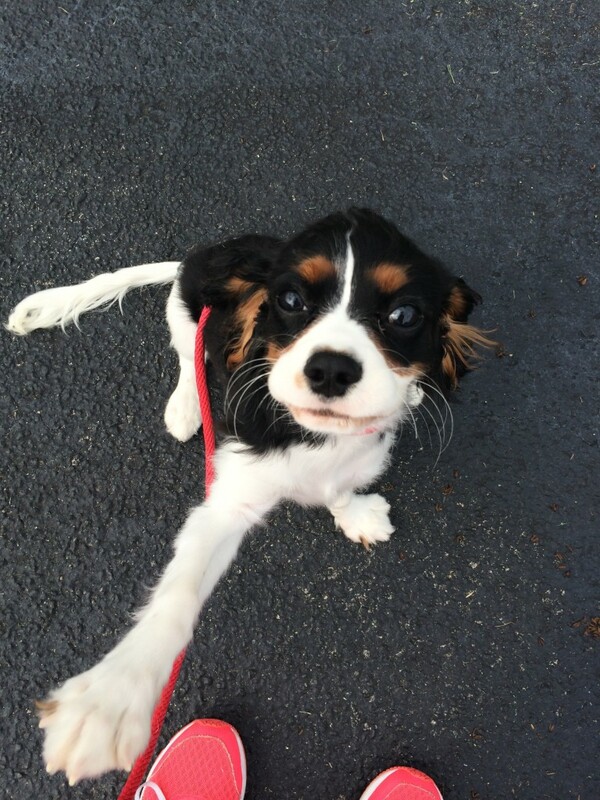 The featured picture on today’s blog post is one of our adorable board and train puppies named Remy. He is working on sitting and staying still for longer amounts of time. This can be especially challenging for a puppy but that is what our certified dog trainers are for! Contact us today so we can help your new puppy acclimate to your home. Need help with your dog or puppy in South Florida? Our facility is located at 4423 SW 74th Avenue, Miami FL 33155 just off Bird Road and the Palmetto (826) expressway in the Bird Road Art District (BRAD). In addition to our bootcamp we offer puppy training classes, group classes of obedience, competition, agility, frisbee, rally, rally free, tricks, nose work, reactive dog class and much more! We are open 7 days a week so we encourage you to stop on in and meet us. If you want to see our bootcamp in action feel free to pass by Monday-Friday from 9-5PM, which is when we’re working (training!) camp dogs. We teach affordable group classes in the evenings with qualified, certified dog training instructors. For more information you can reach us at 786-529-7833 or email us at training@applauseyourpaws.com. We train positively and believe that you don’t have to be RUFF to teach your dog stuff. We are Miami’s expert dog trainers. We get results!